Teenagers: How much to say about cancer? Posted November 24, 2008 by Peggy Rios, Ph.D.
Now that you’ve decided to talk with your teen honestly about your cancer, you may be worried about how much information to give them. Teens can tell you openly how much detail they want to know: Ask them before you start talking. Teenagers have plenty of access to the Internet and to other sources of information. Remind them that information on the Internet is not about you personally, and it may or may not apply to your situation. Suggest that they share with you any information that they find, so you can help them understand how (or if) it relates to you. How long your treatment may take. That your doctors are working hard to make you feel better. That you are hopeful about getting better. If there any physical or behavioral changes that might happen to you from the illness or the treatment. What will happen during the next few days and weeks: Since teenagers think a lot about the future, be ready to talk with them about it. Curiosity about what happens during your cancer treatment. If they’ll still be able to spend time with their friends. Whether they’ll need to do more household chores or babysitting. If there will have to be new routines at home. Whether you can still help them get to the places where they want to go. Watch for changes in how much they eat or sleep, how well they do in school, and how they get along with their friends. 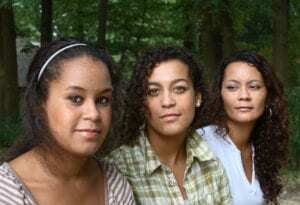 Some teens may worry about whether your cancer is hereditary: Will they have your same problem with cancer when they’re older? Teenagers are not being selfish when they ask how your illness will affect them: It’s normal for them to think of themselves and of their lives outside of the family. Teenagers think a lot about the future. Between home, school, and friends, they usually have a lot happening in their lives. Your cancer will not (and shouldn’t) be the only thing on their minds. Teenagers: What to say about cancer? Teenagers: When is it time to talk about cancer? American Cancer Society. (2005). Helping children when a family member has cancer. www.cancer.org. Blum, D. CancerCare Connect. (2005) Helping children when a family member has cancer. Retrieved 6/30/08 from www.cancercare.org. Harpham, W. (1997). When a parent has cancer: a guide to caring for your children. New York: HarperCollins. National Cancer Institute (n.d.) When someone in your family has cancer. Retrieved 7/1/08 from www.cancer.gov.